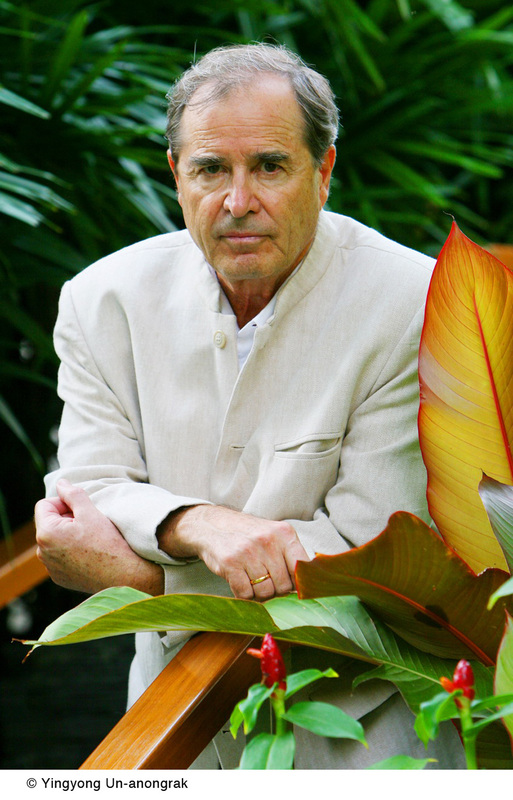 I can’t think of a better guide to Africa than the travel writer and novelist Paul Theroux. He went to Malawi in 1963 as a Peace Corps volunteer when he was 22 and traveled extensively through the eastern half of the continent to write the bestseller Dark Star Safari a decade ago. Now he’s back after a trek through West Africa, through some of the most hellish places on earth, writing about it in his new book, The Last Train to Zona Verde. The author of The Great Railway Bazaar and Riding the Iron Rooster discovers “cities that were indistinguishable from one another in their squalor and decrepitude.” As in the best of his many books, Theroux convincingly takes you along for every manic bus ride. His wonderment is yours, whether he’s contemplating eating a flyblown leg of chicken, dealing with a ferocious Angolan border guard, or deciding that this time, he’s had quite enough. It’s a remarkable, teeth-gritting tale, and I caught up with him this week to ask him a few questions. EP: Paul, has any other place you’ve traveled been quite as hellish as Angola? PT: Yes – many but the place that stands out is Vietnam in 1973, when I took the train to Hue, the war was still hot but US troops had mostly withdrawn. A period of suspense and violence, which I wrote about in The Great Railway Bazaar. EP: One of the revelations of “The Last Train to Zona Verde” is that all is not what it seems with the Jo/’hoansi in Namibia. But are there tribal peoples in Africa still living a life in the bush that is closer to the stone age than the 21st century? PT: Not really. Virtually all peoples in Africa have contact with the delights of civilization, such as soldiers, missionaries, tax collectors and dictators. EP: Early in the book, you say that “If I had a sense of foreboding about this trip, it was because travel into the unknown can also be like dying.” Is Africa an extreme version of this foreboding, since three people you meet in the course of writing the book do, in fact, die? PT: I did have an eerie feeling, and it;s true that three people I came to like, who befriended me died. And now that number is four, because Vicki, a woman who ran a tiny guest house in a township outside Cape Town – she welcomed me – was stabbed to death by her husband not long ago. EP: The singer Bono of U2 comes up for some barbed comments in the book – a “ubiquitous meddler,” you call him — and other do-gooders, charities and aid agencies fare no better. Why do these types get under your skin so much? PT: Because to improve their image they present themselves as saviors in places that are quite capable of saving themselves, and they distort the reality of life in Africa. I wish they would either join the Peace Corps or else go away. EP: You travel through parts of South Africa, Namibia and Angola on this trip, and visit “… futureless places … of stupefying disorder.” You also make an impassioned argument towards the end of the book about why enough is quite enough, that it’s time to go home and not continue further along the West African coast. But you also state early on that “Africa drew me onward because it is still so empty, so apparently unfinished and full of possibilities…” Do you still believe that? PT: Yes, the great green heart of Africa is largely in its natural state, and there is always hope in wilderness. EP: “The Last Train to Zona Verde” ends with you remarking on similarities between the red clay roads of the African bush and the American South, and of the poor people who live in both places. Will you write about these Americans, and this part of the United States? PT: I have a longing to look deeply into the rural south, the Deep South, and hope to find something to write about. EP: You mention traveling in Africa with a shortwave radio, something I used to do years ago. I gave it up in the age of the Internet but do you still rely on BBC World Service and other stations to keep you connected when you’re off the grid? PT: A small shortwave radio is a great friend, when you are in an outof the way place and want to know whats happening in the world. I am speaking of places without TV or internet connections, and there are many in Africa. EP: I’m curious to know what you did upon leaving Africa. Did you go somewhere for R&R? PT: Home is always R & R for me – after all, I live in Hawaii half the time and Cape Cod the rest. EP: Are you still kayaking? I really enjoyed “The Happy Isles of Oceania” and shorter pieces you’ve done on kayaking off Cape Cod and Martha’s Vineyard. PT: I was paddling off the North Shore of Oahu just the other day and in fact sighted some humpback whales in the distance. And it’s a satisfaction to me that The Happy Isles is still in print and finding new readers. EP: This may be your last book on Africa, but will you write another travel book? PT: I hope so, because the ambition to write one is an excuse to go to the ends of the earth. 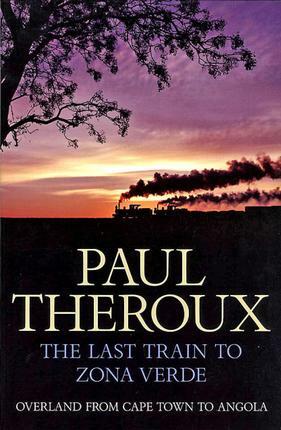 I love to read the books written by paul theroux. as being from thar desert in southern province Sindh, Pakistan. that great desert scattered over Sindh and Punjab in Pakistan and Rajasthan and Gujarat in India. I want him to travel off the roads and writ book about that travel. Mr Paul Theroux’s books are without doubt some of the best reads in particular “Pillars from Hercules” and off course The Last Train to Zona Verdi” because I am from Cape Town, but the books I have read by Mr Theroux, has enriched my life enormously, thank you Mr Paul Theroux. It is with sadness I read that travelling to Africa is no more. I understand, I am a pensioner and travels alone, it is becoming a little daunting.